Suba Diving Ningaloo Reef and the Muiron Islands. Jacques Cousteau once said, “The best way to observe a fish is to become a fish.” We wholeheartedly agree! Exmouth Dive and Whalesharks Ningaloo have become synonymous with quality adventure diving and recreational dives across Ningaloo Reef and the Muiron Islands, with a range of underwater tours tailored to meet the needs and abilities of divers of every level, from novice through to experienced. 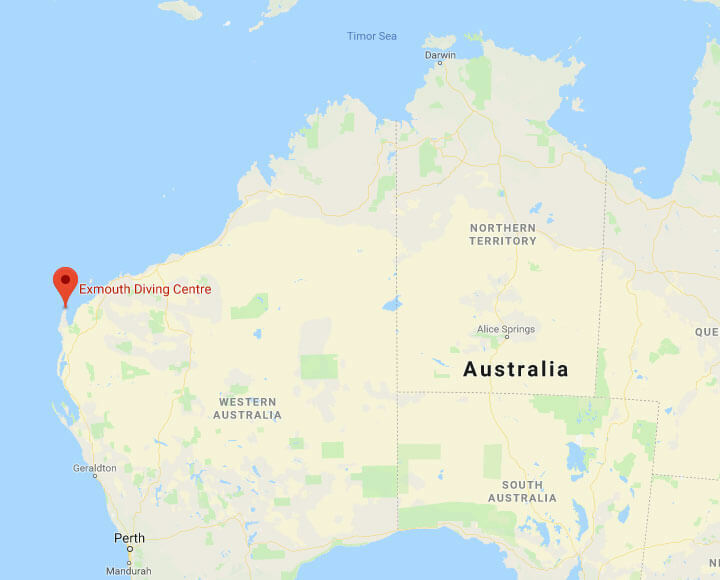 We currently offer the biggest number of comprehensive dive tours across multiple dive sites that give participants the chance to explore the incredible underwater landscape of Ningaloo Reef and the Muiron Islands. Renowned internationally as one of the most exciting and visually stunning regions for scuba diving, your dive will be a sensory experience quite like any other. The vast underwater wilderness of Western Australia’s North West Cape is filled with exotic coral formations of every colour and description. You’ll explore undersea formations carved by the ocean’s current over hundreds of years, and swim through chasms and caves populated with the exotic fish and marine creatures that inhabit the Coral Coast. No two dives are ever the same – you never know what species of marine life you’re going to come across. Every dive offers new surprises. Ningaloo Reef is an intricate coral reef system that fringes the north west cape of Western Australia and, in some areas, lies mere meters from the beach. At 260kms, it is one of the world’s largest fringing reefs, and home to over 450 different species of marine life, and 250 different species of coral. With pristine waters, teeming with life, Ningaloo Reef has earned a reputation as one of the world’s most exciting and abundant locations to swim, dive, fish or snorkel. North and South Muiron Island are located approximately nine nautical miles off the coast of Exmouth. As well as being popular locations for recreational diving, snorkeling, and day trips, they are an important habitat for seabirds, and indigenous flora and fauna. The waters surrounding the Muiron Islands are alive with marine life, with a mixture of hard and soft corals, and swim throughs making it a scuba diver or snorkeler’s paradise. Exmouth Dive Centre is all about safety. We supply all our divers free enriched air. 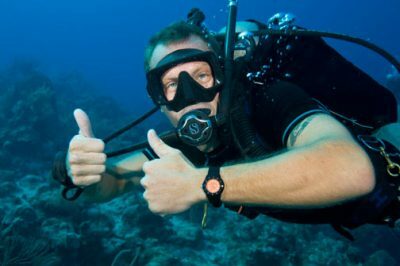 With less nitrogen in the air we supply, there is a greater reduction in risk of decompression injuries, and may help to reduce fatigue and tiredness post-dive. When diving with 32% enriched air Nitrox, be mindful that your dive is limited to a depth of 33 meters. With most of our dive sites under 27m and majority at a depth of 18m, this is never a problem. We give you the choice to change your computer setting to take full advantage of the enriched air we offer, if you desire. You will be requested to analyse your tank, label it, and adjust your dive computer accordingly and record this the information on the paperwork supplied. 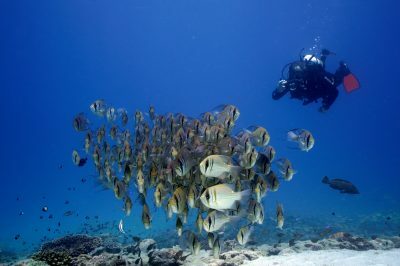 You will need to follow the maximum dive time of fifty minutes per dive, along with your group’s surface interval. You can still take advantage of the enriched air we offer. 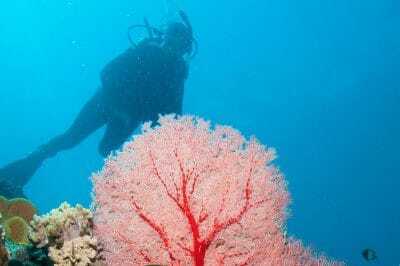 As long as you are diving with one of our Divemasters, you don’t need to make any changes to your diving. Following an air profile while diving on enriched air greatly reduces the risk of decompression injuries and will make you less fatigued after your dive. If you would like to take a Nitrox course to take full advantage of enriched air to extend your no-stop decompression limits, we offer the opportunity to complete a Nitrox course whilst on your dive. With a minimal amount of computer-based theory (two hours) you can achieve your Nitrox qualification. Ever wanted to try SCUBA diving & you're not sure about a full course? 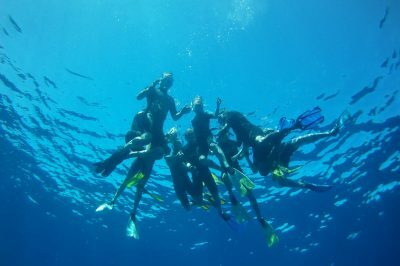 This Discover SCUBA experience is a fabulous introduction to the under water world. Please 'OPT IN' to receive email booking confirmations & our medical questionnaire. Ever wanted to try SCUBA diving & you're not sure about doing full course? This Discover SCUBA experience is a fabulous intro to the under water world. Please 'OPT IN' to receive email booking confirmations & our medical questionnaire.